I can't believe it took me this long to finally read Jon Krakauer's Into the Wild. This is pretty much everything I love in books - research-heavy explorations of a young, solo "adventurer." Everyone knows this book and it's about time we review it. I have been wanting to do a very mini "series" on Chris McCandless where I read Krakauer's book and then McCandless' younger sister Carine's memoir The Wild Truth. So what follows will be a review of Krakauer's famous book and Carine McCandless' book will be my next review. Let's get started. 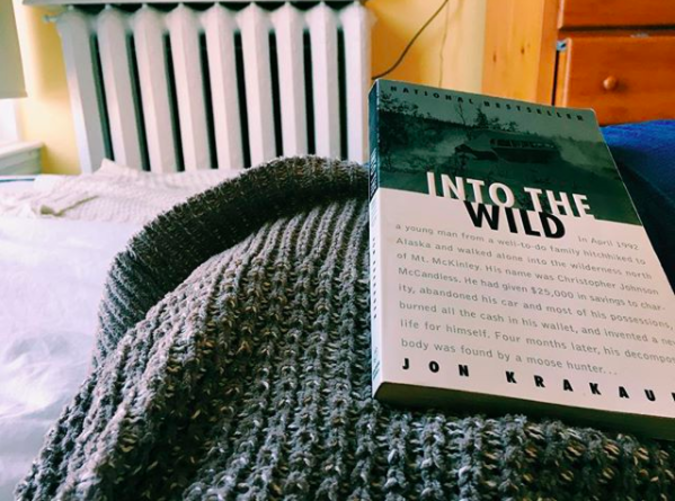 Into the Wild was published in 1996 and is an expanded work from Krakauer's 1993 article on Chris McCandless' life and death after his escapades in Alaska in 1992. I'll mention that I am usually very interested in any book that once started as an article (e.g. The Orchid Thief, The Last American Man, etc). I love how these often journalists will spend a few more years expanding on their research for the article (data collection is something I have always been interested in) and that they get to go way deeper than a ~10, 000 word document. Krakauer summarizes how he researched these events pretty early on in the book and this is the sort of background information I love authors to provide. Essentially he studied McCandless' pre-Alaska snapshot album. He also studied McCandless' written journal that would have been left behind in the bus: "Although the tone of the journal - written in third person in a stilted, self-conscious voice - often veers towards melodrama, the available evidence indicates that McCandless did not misrepresent the facts; telling the truth was a credo he took seriously." Chris McCandless was from a well-to-do family in D.C., and after graduating from university he decided to abandon his car, burn all his cash and identification, and walk alone "into the wild." 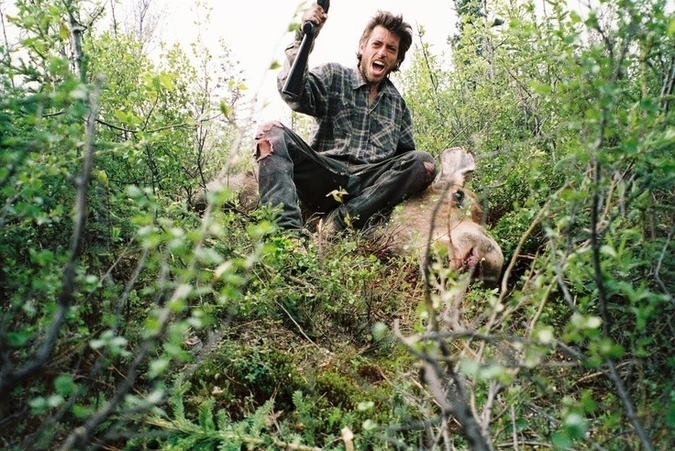 After ~a year and a half of hitchhiking and hanging around the desert, McCandless headed to Alaska where he planned to live off the land in solitude. 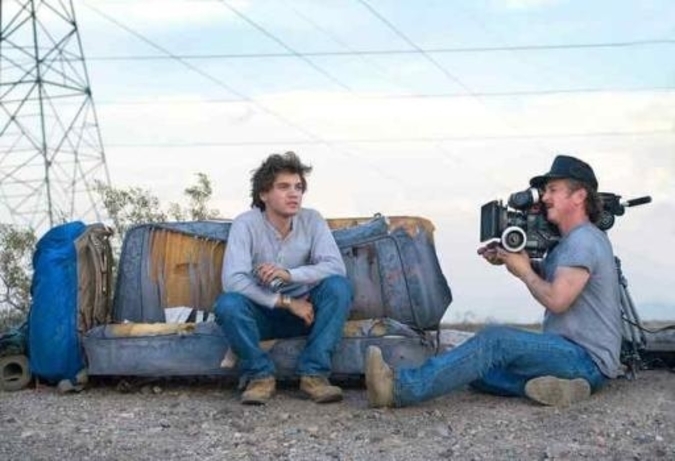 His body was found four months later in a hallowed out lodging bus that was made famous by McCandless' self-portrait and later by Sean Penn's film adaptation starring Emile Hirsch. We have in America 'The Big Two-Hearted River' tradition: taking your wounds to the wilderness for a cure, a conversion, a rest, or whatever. And as in the Hemingway story, if your wounds aren't too bad, it works. But this isn't Michigan (or Faulkner's Big Woods in Mississippi, for that matter). This is Alaska." - a quotation by Edward Hoagland used at the beginning of a chapter. I wasn't expecting Krakauer to sort of spend most of the book debating whether McCandless is a noble figure or not. 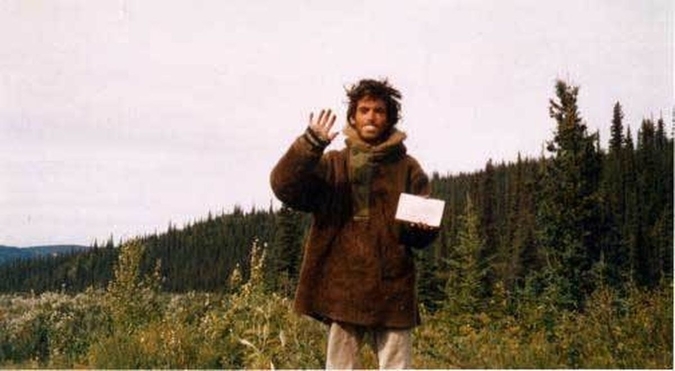 McCandless' death sparked so much outrage across the country, specifically in Alaska, that so many residents saw him as just another Jack London fanatic who was unprepared and cocky enough to think he could survive in the harsh Alaskan elements. But pretty much anyone who met McCandless seemed to be really taken with him. They all said he was definitely set in his ways, but they all recounted their conversations with him and said he was someone you'd never forget. 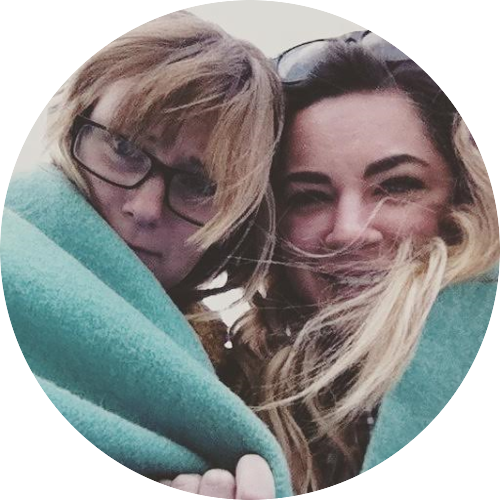 When I decided to go to Alaska that April, like Chris McCandless, I was a raw youth who mistook passion for insight and acted according to an obscure, gap-ridden logic. I thought climbing the Devils Thumb would fix all that was wrong with my life. In the end, of course, it changed almost nothing. But I came to appreciate that mountains make poor receptacles for dreams. And I lived to tell my tale." I liked Krakauer's take on these events because I really felt like he was pretty unbiased. He amassed a lot of criticism for his negative portrayal of Anatoli Boukreev in Into Thin Air, but I feel like he avoided any hard assumptions in Into the Wild. He does delve into McCandless' personal life mostly through interviews with Carine and their parents. My own personal opinion (having only read Into the Wild) is that McCandless' parents didn't seem too bad. There wasn't a ton of information in the book about any childhood traumas or anything of that sort, but the movie eluded to there being something. I am looking forward to reading Carine's memoir because it is solely about their upbringing. As she studies the pictures, she breaks down from time to time, weeping as only a mother who has outlived a child can weep, betraying a sense of loss so huge and irreparable that the mind balks at taking its measure. Such bereavement, witnessed at close range, makes even the most eloquent apologia for high-risk activities ring fatuous and hollow." There's also a good section where Krakauer deals with all the other young men in history who have ventured off into the wild similarly to McCandless. This definitely wasn't a unique case but it certainly stuck in the media. Maybe because it was so recent in history or because McCandless was a rich American, either way he seems seared in everyone's mind. There was one particularly interesting case Krakauer described about a young man who tried to live his life like he was back in the Stone Age. Gene Rosellini spent 30 years living out in the wild trying to survive and admitted he"eventually came to a setting face-to-face with pure reality. I learned that it is not possible for human beings as we know them to live off the land." Even after reading half-a-dozen cases about men who attempted to live off the harshest lands I still have no idea why they feel compelled to. McCandless wrote in huge letters across the wall of the bus "Jack London is King," and he certainly wasn't the only one to worship this writer. I remember reading Call of the Wild when I was too young and was horrified by it (mostly because I hate any harm to befall a dog) but still, the landscape seems far from idyllic and I don't get the draw. McCandless didn't conform particularly well to the bush-casualty stereotype. Although he was rash, untutored in the ways of the backcountry, and incautious to the point of foolhardiness, he wasn't incompetent - he wouldn't have lasted 113 days if he were. And he wasn't a nutcase, he wasn't sociopathic, he wasn't an outcast. McCandless was something else - although precisely what is hard to say. A pilgrim, perhaps." I do find it really weird how many people hate McCandless. I think if anything McCandless' story is just sad. I love Krakuer's writing and was really glad to finally have one of his most famous books crossed off my list. I'm looking forward to reading one of Krakauer's books that doesn't have an outdoor component to it. I have a copy of Where Men Win Glory and I think that will be the next one I tackle.